What's this? A blog post? I know, it's been a while and I have so many Nail Polishes that I have to share that it would be rude not to start 2013 with one - even if it is 22 days late!!! 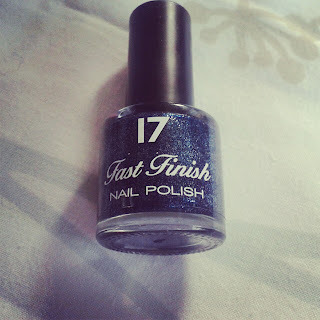 This Nail Polish is from the 17 range at Boots, and is part of their Fast Finish Collection that has claims of "Single coat high shine colour in 60 seconds"*. I'm not really sure how accurate that quite bold statement is because I certainly wouldn't wear this polish after only one coat - well, unless it was a very thick coat of polish. 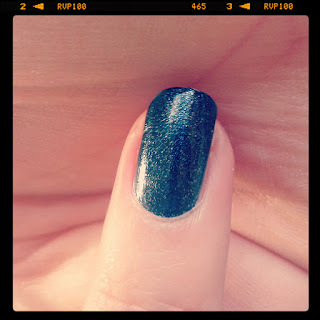 The polish is called Navy Glint, and I can definitely tell why. It is a very dark midnight blue shade with a lot of tiny glitter particles that aren't in-your-face or over-the-top, but add a little sparkle to the colour, or the "glint" that the name implies. As you can imagine, it's really difficult to get an exact match of the colour of this polish, but this last photo (my first attempt at Instagram, since I appear to have lost the cable to my camera, so had to use my phone instead!!) is probably the closest. 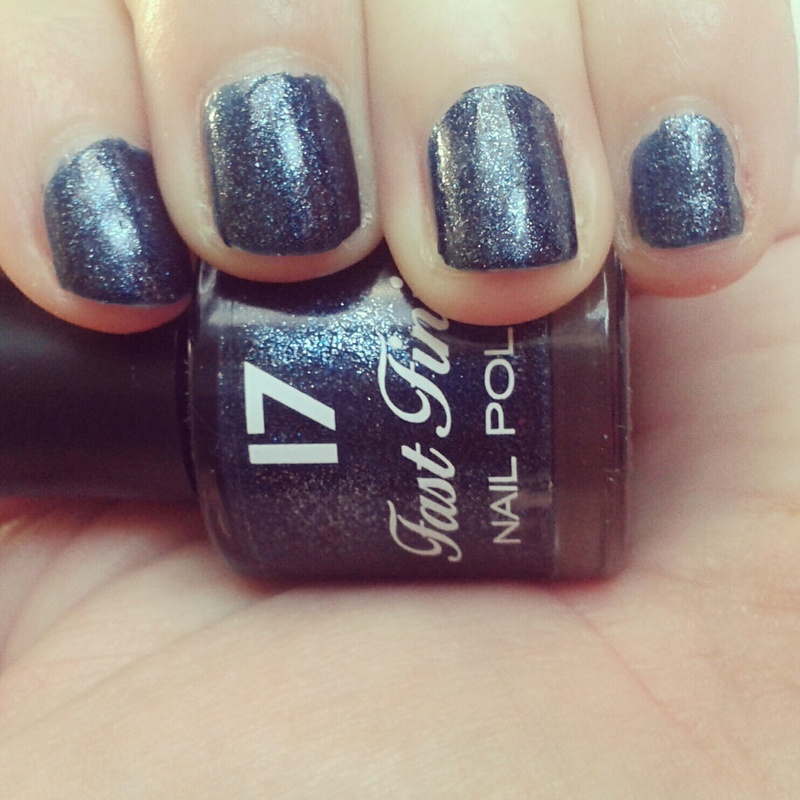 It is a very dark shade, that I can imagine a few people not being keen on, but I'm a huge fan of navy blue nail polish so combining it with a little sparkle is pretty fab in my books. What do you think? A fab sultry colour for winter, or a bit too dark?